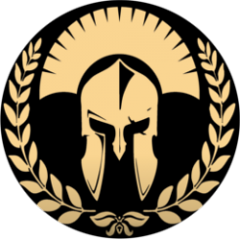 GF Auto Loot with userconfig by GEORGE FLOROS [GR] Description: GF Auto Loot with userconfig , will detect the enable Mods , without editing lists. Installation / Usage: To install GF Auto Loot with userconfig , you should use modfolders to keep it seperate from the official game content to prevent issues. Notes: This mod , is including a userconfig folder. The userconfig folder , must be in the main arma 3 game folder. Inside the userconfig folder , are the settings. To make changes in the userconfig , you need to close the game. GF Auto Loot with userconfig , will detect the enabled Mods , without editing lists. 1 = Load every Mod + Bohemia Items , 2 = Load every Mod - No Bohemia Items , 3 = Load Bohemia Items Only , 4 = Custom items only There is a Possibility option available. a safe distanse from players , to prevent the loot from spawn. The loot will spawn also , at the spawned or placed in editor Buildings. It is also posible to unpack and edit. A lot of the previous code is reedited. Added option for the spawned items number. It is possible to add your custom item list. Changed the codes for the search of the configs.